The Fox-IQ provides customized and automated, continuous XRF measurements of Ca to U. It functions in a 24/7 operation for industrial process optimization, increased productivity & improved quality. 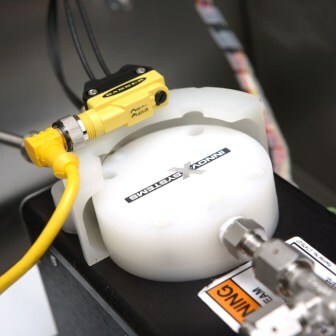 The FOX-IQ XRF system performs fully automated online analysis for 100% high-volume process control. 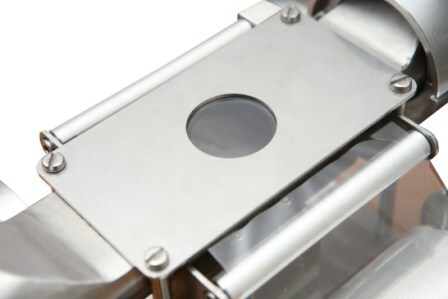 X-Ray Fluorescence (XRF) is a proven analytical technique commonly used to quickly and nondetructively verify alloy grade and chemistry. The FOX-IQ is a compact system that integrates easily with new or existing PLC-controlled processes. This CE-certified system is engineered for 24/7 operation in industrial environments - it can endure high levels of vibration, electromagnetic and acoustical noise, in addition to dust and moisture. The FOX-IQ's compact design and minimal power requirements provide quick and easy integration of both new and existing operations. Each FOX-IQ delivers pass/fail tests, accurate grade ID, and chemistry with automated links to the QC/QA reporting system. The FOX-IQ is controlled by a PC for start/stop, data acquisition, decision making, and communication to external devices. The FOX-IQ is driven by powerful and intuitive software that has been developed and custom designed specifically for the Tube/Pipe industry in cooperation with several market leaders. Features include multi-level access, automated retesting, extensive reporting, and an intuitive touch-screen interface. contains the X-ray tube, detector, and fron-end Digital Signal Processing electronics. The PHA can be precalibrated, and its modular design allows for swapping in minutes. supports an external sample trigger input, and provides a pass/fail indicator signal that can be used to trigger a "kicker" or other line equipment, such as a PLC, in order to accept or reject the sample based on the analysis result. runs the Olympus Innov-X PC software in order to control the instrument, analyze the sample, and mange the results and interface with external devices through RS485 or TCP/IP. The FOX-IQ provides totally automated alloy testing with data logging and alerts requiring no manual operation. Its Smart QC software gives fast and accurate grade ID, pass/fail, and chemistry for on-line elemental analysis of phosphorus (P) to uranium (U), on any surface. 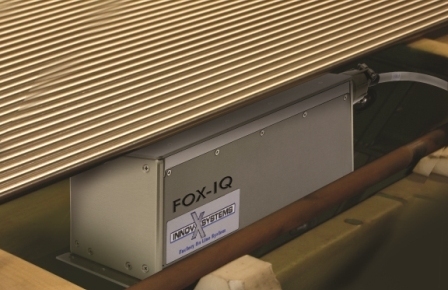 The FOX-IQ provides totally automated stream analysis with data logging and alerts requiring no manual operation. Its Smart QC software gives fast and accurate elemental ID, pass/fail, and chemistry for on-line elemental analysis of phosphorus (P) to uranium (U), in virtually any liquid or fluid stream.